Stephane Groueff: Interview with Mr. P. C. Keith, K-E-I-T-H, former head of Kellex Company during the war. Percival Keith: So I decided I would accept the job of trying to build this plant at Oak Ridge. Groves came up from Washington, and he and I went out to dinner. It was a French restaurant, Miriliton. Groueff: What was the name? Keith: Miriliton, M-I-R-I-L-I-T-O-N. It is now gone, but they served excellent food and excellent wine. I thought the general would appreciate it. But he really is not a gourmet at all. He had no use for wine. This little restaurant was on Fifty-Eighth Street, just east of Fifth Avenue. After dinner—it was a cold January night—he wanted to walk for a while. He and I walked up Fifty-Eighth and down Fifty-Seventh and up Fifty-Eighth and down Fifty-Seventh. He told me more or less of his life history. He said that his grandfather had gone to West Point, and his father had gone to West Point. His father was a chaplain. Groves, when he went to West Point, finished just a little too late to get into the armed services in World War I, but he was quite well up in his class. I think he finished number five in his class. He went into the engineer corps. Then he told me he spent all his damn time from that day up until that night in engineering work, and he never had command of any troops. Groueff: He was going to leave with General [Mark W.] Clark. Keith: Corp of Engineers and ordinance. Two days before Groves was to sail, he called him in and said that he had been given this job by the president, Mr. Roosevelt, and that he and Groves would have to come off that ship and take charge of it. He either said or strongly insinuated that this was the end of his Army career, because he could never aspire to be Chief of Staff of the Army because he had not served with troops. I was talking about the steps that I might take, more or less, what I thought was logical without taking much gamble. I remember very distinctly that his plea to me was that we had to go at this all out. If he, Groves, was going to finally have the responsibility, he might as well get hung for a sheep as a lamb. I promised him that we would do everything that we could to do that. Sometime later, not too much later, he came down and presented me with a little sign. Hand me that thing, the box with the turtle. Groueff: The one with the turtle? Keith: Yes. He says, “Heaven sakes, bear this in mind.” Groves was a very funny fellow. He in my opinion was extremely competent, very brilliant, very brilliant, and extremely loyal. Groueff: Yes, that is signed by him. Keith: That is right. He never did interfere. He gave me some tough jobs to do to take care of the [inaudible], for instance. He was all right. After the war, I made a hell of a mistake in my opinion. I tried to convince him that if he tried to hide his light under a bushel basket that people would find him. But he, having been denied the opportunity to have command of troop, I think—this is purely speculation—that he thought he should have been recognized for what he did do. At that time, the scientists were trying to grab all the credit and did a damn good job of it, and they did damn little towards this kind of thing. Groves himself never did have any trouble. Groueff: Yes, the opinions are very divided. They all say that he was very dynamic, great worker, hard worker, and very confident. Groueff: Dedicated, completely dedicated to the job. Keith: That is right. If he was going to get hung, he was going to get hung for sheep as well as the lamb. I have not any idea what Groves’ memory has to say with these things. Groueff: Oh yeah, whether it coincides. Keith: I had no interference. The responsibility was mine. Keith: Oh yes, Nichols came in but neither Nichols nor Groves spent much time. It was not respected with pleasance. Groueff: So you had autonomy completely? Keith: Almost complete autonomy. And the decisions had to be made in that office, that is where they were made, that is that. I know that Groves at one time, he wanted to know my recommendations of just who should operate this plant. He was in favor of DuPont. Whether they ever went to DuPont or not, I do not know, but I had a great respect for Carbide and in particular great respect for a man called Jim Rafferty. I suggested to the general that we ought to get Carbide. Carbide came down and there was Jim Rafferty and Lyman Bliss and two three other people whose names I have forgotten. I could not tell them very much because of security, but I finally, without much trouble, convinced Jim Rafferty that Carbide ought to take it. Carbide then came in, having made arrangements directly with Groves. I feel like I was at least instrumental in getting Carbide to come in this thing. Groueff: So they did a good job there? Keith: A damn good job, a good job. Keith: Felback was the head of it, but then the fellow who finally ran it was this chap called Clark Center, C-E-N-T-E-R.
Groueff: He is alive, yes, I should go and see him. Keith: With the engineering. Felbeck and myself, one time, had a disagreement as to where we would put a certain cooler. He was very strong from one position, and I was adamant from another position. He tried to get Groves to get me to change, and Groves asked me had I considered it, and I said, “Yes, and this is where we are going to put it,” and that is where we put it. Then Groves, on two or three occasions I needed some help to get people to do things. Once he went with me to see K. T. Keller. Keith: Chrysler. I went out there to see Keller with Groves. Groves and I convinced Keller that he, Keller, without knowing anything about this project, should go full out to assist us. He agreed, and actually he finally made available the old Dodge plant in Detroit where we built a great number of what we call drums or cans, in which the barrier, the pump, and the exchanging were housed. Groueff: You knew him before Keller? Keith: I did not know Keller. I called up Keller, made the date, and Groves went with me. Groves at that time, when he first started on this, was a colonel and given a temporary commission as a Brigadier General. After the war, he was made a Major General. Keith: Oh yes, Clark Compressor Company. I went to the Worthington Pump and Machinery and I went to Ingersoll Rand. All three of those companies just turned the job down and said it could not be done. Groueff: Right, because that had not been done before? Keith: It had not been done before. We were looking for a compression ratio, which was quite high for a single impeller, very high. Groueff: So according to technology at that time that was an impossible job more or less. It was not done. Keith: Without precedent certainly. Then old Judson Swearingen and George Watts and O. C. Brewster and myself got together, and we decided that the thing could be done. Groueff: Here in New York? Keith: In New York, up at 233 Broadway, the Woolworth building. We sat down and Brewster had had a great deal of experience with high-speed centrifuges. Brewster was the fellow who invented the process for the dewaxing of oil in high speed centrifuges. He had come from the Indiana Company long before that and quit, and had worked for me in a company that I owned out in Kansas City called [inaudible] Engineers, and I brought him on to New York. Swearingen had worked with high speed expanders down at Elliott. He had worked down in Texas. I had heard of him and went down to see him and thought he was a genius, and I brought him up. He had worked for the expanders to make the portable oxygen plant possible for a company called the Elliott Company. Then when I got into this jam with Kellex I called on Judd, and as a matter of personal friendship, he left Elliot. Keith: Came to work for Kellex, for me again. Then George Watts had been Standard Oil Company of Indiana’s engineer for years, and I had known him personally, so I called on George Watts. George Watts came into New York. This is typical of how the organization was put together. Keith: Ludwig Skog was senior partner of [inaudible], the biggest consulting engineer in the power industry. Keith: I got him to come on. Hobbs was vice president of Diamond Alkali, and I got Hobbs to come on. I was looking for the best talent I could find. But in any event, let’s get back to these damn compressors. We finally decided this could be done. The only fellow of the people that I had not contacted was Allis-Chalmers. So I got a hold of Groves and said to Groves, “Come on, you have got to go with me out to Milwaukee and we have got to see Allis-Chalmers to see if we cannot get them to undertake this job.” We went out there, and we met this young engineer whose name I will think of who is a Navy man. He is John Avery. Keith: John Avery. He had a chief engineer who was of Germanic descent, and the chief engineer was, like all the other people, did not think it was possible that we could do this thing. But John Avery did and he was assistant chief engineer. So Brewster, O. C. Brewster, and George Swearingen – his name is Judson Swearingen – George Watts, and myself went out. Well, first Groves and myself went out. Then we got the management to agree that they would consider this job. But then it had to go through the engineering department. Groueff: And what was Avery’s position? Keith: He was assistant chief engineer, John Avery. Well, Allis finally decided they could do this job, but they could not put it in their own shops. So the problem that I had was how the hell to get these thousands of compressors built. Some of them incidentally running thirty-five, forty thousand RPMs. I mean, they were very high speed. The big ones running at slower speed. Groueff: And different, not just one type? Keith: Oh quite different, a number of different types. But same generic design. So finally, I decided we had to build a factory to build the compressors. Groueff: A brand new factory. Keith: A brand new factory. So Allis-Chalmers had two fellows out there, a chap called White who was head of production. I have forgotten his first name. I think it is Bill White. Then they had the other fellow called Rosecky, R-O-S-E-C-K-Y, who was White’s assistant. And by clacky, John Avery, White, Rosecky, and of course with us helping back here, we got that factory built at Milwaukee, right next to Allis Chalmers’ plant. It was a brand new factory to make these thousands of compressors. Groueff: That is an expensive job, no? Keith: It did not turn out to be too frighteningly expensive, but you are dealing in several millions of dollars. But there were no compressors available. No design available. Nobody thought the damn thing could be done. We sat down, the four of us, and agreed that it could be done. The only reason why it could be done, nobody could prove to us it would not work and we had to assume then that it would work, that we were sound engineers and we knew something about centrifugal machinery. Of course, there was Brewster with us, his experience on very high-speed centrifuges; Judson on his experience with very high-speed expanders; Watts with his experience with pumps; I had had considerable experience with centrifugal compressors, not pumps; and then John Avery. But Aliss did a good job. They built this plant. But then we had to go out and beat the bushes and find—White and Rosecky found most of the machinists. But we found a lot of them ourselves and had to expedite materials in. So that is how the compressors got built. Groueff: Did any one of you stay there to direct the operations? Swearingen or Brewster? Keith: No, the operation production was under the hands of White. Groueff: Their people, Allis’ people. Keith: That is right. We had inspectors there. Keith: We did not design the factory. We designed the compressors. Keith: Then White and Rosecky did production and specified the machinery. We laid out the plant. Aliss built the plant. White and Rosecky ran it. We had men there on every shift to inspect and to keep the schedule up. Groueff: When did you realize that it really could work? Groueff: There is no real doing a dry run? Keith: You could not do a dry run. Keith: You could not do that. Groueff: So it must have been tense on the nerves, no? Keith: Well it was tense all the way through. I mean, I think it was Gustav [Adolphus II] the Snow King who had the great war with [Albrecht von] Wallenstein. I may have told you this story before. Wallenstein led an army into what is now Austria-Hungary, and writing back to his wife he said that he finally had reached a feasible way of conducting his campaign and capturing these several cities and that this was a possible scheme because it only required the execution of seven minor miracles and theories. Well, the job at Oak Ridge required the execution of a number of minor miracles and theories, and this was one of them. Groueff: Very good. When I get the details now from Swearingen and from Watts, I’ll have the complete story. Keith: That is right. And so that was the story of the compressors. Groueff: Now the other fascinating stories about the barrier. Everybody tells me when I ask them what was the most difficult single job of the whole project, they all say the barrier was the most difficult single problem. Keith: No, that was a gift from heaven. Keith: We had any number of physicists and chemists, industrial engineers working on the barrier. We had a chap called Zola Deutch, D-E-U-T-C-H, Zola, Z-O-L-A, Zola Deutch, an old friend of mine who was a consulting engineer in the inorganic chemistry field and a most knowledgeable individual. Keith: The industrial company was Singmaster and Breyer, then we called in some printing companies. Keith: And we had Norris and Adler, they came from the telephone company. And then there was Bill Libby and there was Dunning, and then there was a chap called Slack, Slackman and Dunning. Groueff: But without success, all this? Keith: Well, let’s not say that. We had also set up a plant over in Jersey City with Johnson and Walt Marshall and two or three people. There was a certain concept of this diffusion barrier. Manson Benedict had sat down and had written the theoretical qualifications for this barrier as to what it should do. Without Benedict—he was just invaluable, Manson Benedict. I kept keeping track of what was going on, going up to Columbia and seeing this damn thing. I just did not believe that it was a structural material. But I had nothing else to go to, not a thing. So I allowed it to go on and on and on. Then I had to decide who was going to make this damn barrier. Houdaille-Hershey at that time were the biggest people in the business doing chrome and nickel plating for the trim on automobiles. They had a plant which was shut down because we were not making automobiles at Decatur. So I went out there, and again I went with Groves. We convinced Houdaille-Hershey they should turn over all these buildings and facilities at Decatur. I coined a name for the barrier that Columbia was trying to do, and I called it a lace curtain. Keith: Lace curtain. It was not a building a material, and I just could not bring myself to believe that that was the kind of barrier that we were going to use. Then one day, Clarence Johnson came in and told me about this chap whose name I have forgotten, which you have. Keith: Groff. He showed me a section of a tube that they had made. Then I saw that, and I intuitively felt that this was the way that we would have to do it, and we would have to drop all the lace curtain business. Johnson went back, and he and Groff came in and they produced several tubes by hand. Then I got Lyman Bliss of Carbide interested and up in Tonawanda, they began to use this technique that had been visualized by Groff. By that time, we had the Decatur plant modified to make these damn lace curtains. Then I finally decided that we just could not do it, and I called up Groves, who was at Oak Ridge, and said I wanted to meet him at Decatur. I had forgotten it was a cold winter’s day. Groves came up from Oak Ridge bringing with him George Felbeck. I got a hold of [Harold] Urey and told Urey what I was going to do—I was going to scrap the lace curtain in its entirety, just scrap it. It was a rather sticky situation, because Columbia had worked long and hard. This was going to be their contribution and whatnot, and to have me just as an engineer unilaterally and dictatorially say to the physicists, “I am not going to use it,” I unfortunately used the word “I”. But really when I think back to it, I had to make the decision. So I got to Decatur. It was on a Sunday. We met out at this construction office where we were modifying this Houdaille-Hershey plant, and I said to Groves that we just had to completely and utterly change our concept of this barrier. Groueff: Was Urey with you? Keith: Urey was with me. It was Urey, Groves, Felbeck and myself. Felbeck was more or less on the fence. How were we going to throw away all this research work? Urey did not like any part of it, and so expressed himself. Again I must say, this is evidence of Groves’ fulfilling his promise. He said to me finally, “If this is what you have just got to have, we will just have to have it.” At that time, we thought scrapping as much as eleven million dollars’ worth of construction that we had done at Decatur. So I came back to New York, and we changed and we began to do more experimentation at Jersey City and up at Tonawanda. But very quickly after that—I have forgotten whether it was a week or two weeks or three weeks—and looking over the equipment that we had at Decatur, we found that we could use the vast bulk of it to make this new barrier. We had tube making machines. Groueff: You mean from the lace curtain. Keith: Curtain? Something entirely different. Groueff: But you could use the materials? Keith: We could use the machines. Keith: So we lost practically nothing. Groueff: You did not have to scrap it completely? Keith: Very little of it was scrapped. Groueff: But the decision, nevertheless, was to scrap it? Groueff: They still work, yes. Keith: They still work without any trouble. Keith: Up at what we called the Nash building for testing. Groueff: For testing. I saw him and he explained how. Keith: He did. He is a charming man. Groueff: Charming man, charming man. Keith: I hope he told you that I sent him up there to stop all the politicking, and he could not, and we moved over to the Nash building. What? Groueff: Yes, because it was a the sticky situation with Urey and Dunning and their rivalry. Keith: The funny thing about the thing, I believe that the first concept of the gaseous diffusion plant came from England. I assume that, independently, Columbia had the same idea. Keith: I can tell you, and for sure—and I would like to have you put this in the book—I quite independently of Columbia, quite independently, had arrived at a conclusion that you could do this thing by gaseous diffusion. I am led to believe that if I had not had the idea independently that the planning board, which was composed of Murphree and Kerm and Chub and Lewis and Urey and myself, that it would have died of a burning because Murph and Chub and Kerm had no real faith in the thing. They had faith in the beam centrifuge. They had faith in Lawrence’s electromagnetic separation. While I do not want to take any credit away from Columbia, Columbia should not represent that they were the only people. Groeuff: That they invented it. Keith: They did not so do. I am inclined to believe that it came from Simon and Peierls of England firstly, and possibly from Klaus Fuchs. But Peierls and Simon, I think. They had the idea, and I know I had the idea. I suggested it was that I had a research project going on in Jersey City attempting to purify hydrogen through a diffusion barrier. Groueff: Which is the same principle? Groueff: Benedict is supposed to be one of the brightest men in his field, no? Keith: There is no question about it. He is just one of the brightest, one of the nicest, one of the most ingenious, and that is that. By the way, there is one man you want to see also who was my executive assistant. Now that is John Arnold, who is now vice president in charge of engineering for air products. Groueff: I will ask for his address. Groueff: You had another one but who is dead, I understand. Al Baker. Keith: Al Baker was off on what we called the execution side. Keith: He had charge of all the seeing that orders were placed. He was much more than a purchasing agent, do not misunderstand me. He was a crack man. But he made sure the schedule was made. Groueff: Implement everything, all the decisions. Groueff: He was, I understand, the kind of methodical, even pedantic man, organization man. Keith: That is right. He was in organization. Groueff: The regular channels. I understand that you were exactly the opposite, calling people in the middle of the night? Keith: That is right, that is right. But it was that kind of a job. Groueff: Very popular with their wives, I understand. Keith: Well that I would not know about. Keith: You ought to come out to my house and see a cartoon that they sent to me. I have got a cartoon sent up about me annoying them one day. Groueff: Yes, I would love to see it. I will come one day to – but that gives a good idea. Now, there were very different kinds of men, you and Baker and Benedict and Hobbs, as you say. Keith: Yes. It was not an easy job to keep the reins on all of this. Groueff: Everybody is so different and some of them were very difficult. Keith: Not any of them were difficult. I did not have any trouble with anybody. Groueff: Hobbs? Because he says that he was difficult, and he was just walking out jobs if somebody did not agree with him. He would just take his hat and go. Keith: I do not think Hobbs would tell you that he difficulty getting along with me. Groueff: No, not with you. But he says that you also you gave him free hand for his technical inventions and things that you would back him each time that he was in disagreement with the others. Keith: Well I am delighted that he said that. But there are ways of getting Hobbs to change his mind, too. One of the interesting things I think it was Hobbs that I use the story of the Great Rose [inaudible] shot. I either use that, or I use the story of the great bronze doors at the Palazzo de’ Medici in Florence. One of those two, I have forgotten. Groueff: Which story is that? Keith: Well, you will have to look it up, my memory fails me. But in Florence, at one small church, there are the most magnificent bronze doors that man has ever fashioned. Groueff: On these doors, yes. Keith: I said to Hobbs, “Now look, there are going to be things that look small. They are going to look small to you. But if they are not solved, it cannot be built. You are an artist and you are a genius, and I expect you then to produce in your field that which is comparable to what the great bronze smiths did in Florence.” And by gosh he did. Keith: Mr. Groueff, there was essentially no politics in this company. Baker tried his best to engender politics. You might have found out there were politics that I did not know about. Groueff: No, it seems to have been a quite coherent team, not like some other like Columbia, for instance—Chicago, they had trouble. But Kellex, no. Keith: No, and the reason for that is this: I cannot expect Toulouse-Lautrec, if I had lived the time of Toulouse-Lautrec, to be a moral man. If he wanted to become an alcoholic, that was his business. But he was a genius, and therefore you had to recognize that he was a genius. Van Gogh is probably a better illustration than Toulouse-Lautrec, because Toulouse-Lautrec had trouble with his legs. But it has always been my belief that if there is competence there, I can certainly get along with it because I am emotional myself, and I can understand the emotional. For instance, Judson Swearingen is a prima donna and Lord knows J. C. Hobbs is a prima donna. Ludwig Skog is just as safe and as dependable and as wonderful as you can be. O. C. Brewster was a prima donna. When he finally found out what this project was really all about and he knew what we could do with the bomb, he quit Kellex and threatened to go the president to see if he could not stop the dropping of the damn thing. Groueff: You mean he was working on the compressor without knowing about the bomb? Keith: What the bomb was going to do. Groueff: He did not know? Keith: He did not know. There were damn few people that did know. Groueff: But Manson Benedict seemed to have been a rather easy person—not a prima donna. Keith: Oh, not at all. Not at all. Groueff: I saw him and he seemed modest. It was difficult to make him talk about himself. Keith: I think that is right. Groueff: Clarence Johnson seems to be a modest man. Keith: Yes, but this is not for the book. Keith: Clarence is not in the same orbit as Benedict. He is not in the same orbit at all. Groueff: Benedict is a kind of genius. Groueff: Like Hobbs in his field is a genius mechanic, inventor. Keith: Mechanic, that is right. The problem was that—you asked me about the power plant. Keith: That was interesting. We fiddled and fiddled and fiddled with this design, and finally it came time that we had to make up our minds whether we were going to try to build this plant or not. Mind you, when I first took the job, I took it on the basis not that we would necessarily build it, but at least we would proceed as if we were going to build it. Unless I saw some reason why we could not build it, we would go ahead. Well, the time came. I sent Baker down to talk to TVA, to talk to Dave Lilienthal. I later saw Lilienthal. We were going to need about 250,000 kilowatts, 250 megawatts, in this plant. Baker came back and Skog came back and reported that there was not enough power unless we had to depend upon three long time fission lines. Skog and myself made up our minds with Baker, because Baker knew the power industry pretty well, that we could not depend upon that source of power. Mind you, this plant, once it started, it took some several weeks for it to reach equilibrium. If we had an interruption, we would have to start all over again. But I had made up my mind that if we went that far, what the hell, we might go all the way. So without anybody knowing very much about it, we just decided that we would see how far we could go. Pessimistically, we could only do this relatively small enrichment. Optimistically, and if the Lord had his hand on our head, we could go all the way. Do I make myself clear? So one of the fears that I had—and George Felbeck, he knew about it, too—suppose this thing does go all the way, and suppose in some odd corner of this long cascade, we build up some stuff. We used to say, “Well, I hope I am not in East Tennessee when this thing blows up.” That was a fact. That meant absolute reliability of power. Absolute reliability. Well, I finally decided with Skog that we would build a power plant if we could. Skog knew that combustion engineers were building some big borders for the Edison Company, Commonwealth Edison, out in Chicago. So I got a hold of Groves, and I also got a hold of the vice president in charge of sales of combustion engineering called Don Walker. I said I wanted to take these boilers that were already under construction at Chattanooga. And we took them. Keith: They had to. I mean, this is one of the few times that—we used this top priority only two or three times. Groves says, “Keith, do not use it until you have to.” That is just one of the two or three times that we did use it. They were the right size. Then Groves, for political reasons, wanted to run this plant on coal. We had to agree that his reasons were sound, but that damn plant down there uses a great many carloads of coal every day to do this power. So then we did not know how to run these compressors. Mind you, the compressor had not been designed. But we had to assume that we would arrive at a design. This thing runs in blocks. We had to assume that there would be a different speed at different blocks. We did not want to make it DC, could not make it DC reasonably. So we had to say that we are going to run these machines at different speeds, even on AC current. Groueff: It was without precedent? Keith: This was without precedent. So Skog will tell you this, Skog and Baker and myself, because Baker was there. I think I had the idea—I may be wrong—but we would generate any number of frequencies in this plant. The plant actually would generate electricity from thirty cycles to 240 cycles all up and down the range of various cycles so as to control the speed of these compressors. But that is away from the story. Nobody would say, dammit. So I finally said, “All right, if we build a power plant down there, I know TVA is short of power. That will give us a breathing spell. So let’s build the power plant, and if three months from now or five months from now or six months from now we have to stop this project, at least we will not have spent that money in vain.” So I gave the orders to clear the site and let us start with the power plant. Now that is about the story I am sure that Skog told you. Groueff: It was a big decision on your part. Skog told me the details of how, after that, he did and what he did. But he seems to be a nice fellow, no? Keith: He is a nice. Groueff: He had sons in the Pacific. Keith: Yes, he is a wonderful fellow, Ludwig Skog. Groueff: You had a very good team in this, all top men like Hobbs and Benedict and Skog. Groueff: They are all top people. Keith: That is right. So I was very fortunate. Groueff: How was Stowers? What kind of a man was he? He was Groves’ representative. Keith: He was Groves’ rep. He had come from Natchez, Mississippi, a soft-spoken southerner, capable, a gentleman—a complete gentleman. James Stowers was a complete gentleman. He was not in the regular Army. He was in the Reserve. I think he was a schoolteacher. Groueff: I will try to talk to him. Keith: But again there was not any interference. Groueff: He was just liaison when you wanted? Keith: No, he was there because somebody had to be there representing the Army and his main concern was security. I think I have told you the story when some foundation prints blew out of my window. Groueff: Out of the window, yes. Groueff: At the station, yeah that’s a very good story. Groueff: Tell me, in the nickel plating of the pipe, what was the role of Keller and Chrysler? Did they invent the process? Keith: Keller did not at all. The general belief was, shared by everybody, that you could not plate nickel on nickel and get an impervious nickel plating. They had a fellow out at Chrysler called Heinemann, and one day—I saw Keller occasionally—I was complaining, and he asked me to get in touch with Heinemann. I have forgotten whether I saw Heinemann there or whether I saw him in New York. In any event, after I saw him, he convinced me that there was a trick we could use. We could plate nickel on nickel and make it impervious. Now you must understand that there was not enough nickel available in the world to make the pipes solid nickel. We had to plate it or else. I had to find a way to plate it, or else you could not build the plant. There just was not enough nickel. Heinemann, with a trick, found out how to do it. All the pipes in that plant—on the inside of the pipe down to small pipes—are nickel plated on the inside. Groueff: The rest is steel or iron. Keith: The rest is steel; otherwise we could not build it. Keith: Oh, he was the president of Chrysler. But he had suggested Heinemann. Groueff: I see. And who did the plating here in New Jersey? Keith: It was done over here at Metuchen, Groves can tell you the name. Then we set up a plant to do it down at Oak Ridge. Groueff: I see. Was there a main decision to switch from flat barrier to tube barrier? Groueff: Because the lace curtains worked only with flat? Keith: They could not roll it into tubes well. But that was not really, I mean, that was never seriously considered, except for the very upper part of the cascade. The very upper part of the cascade we seriously considered them because that comes down to sizes, small sizes. But really there was never any doubt in my mind whatsoever that this area had to be in the form of strong tubes that workmen could handle and put in these damn things. Groueff: Yes and not break them each time. Keith: Now, Benedict only went to the point of saying how many square feet we needed. Keith: The shape of them, no. Keith: But Benedict did not only work on that. One instance, we had a severe cooling problem, and I told you Felbeck and I had a minor disagreement as to where we put this cooler. We only had limited space. We had to do this with extended thin tubes, and they were not really easily available. So we went to a company called the Calumet Copper Company. Keith: Yes, and they knew nothing about it. They had a thinning technique. We could thin these tubes. Then Benedict had to sit out and calculate what pressure drop would go across these coolers and the heat transfer rate we would get and whether these were adequate enough. He had to do things like that. He had to calculate pressure drops throughout this plant. Groueff: You used him for different jobs, not only to design the cascade. Keith: Yes, well that was part of the cascade, this tooling thing. The cascade had a number of different points in it. Groueff: But I can say safely that the man who contributed mostly to the design of cascade is Benedict? Keith: Well that depends upon what you mean by cascade. Groueff: Oh yes, the principle, I mean. 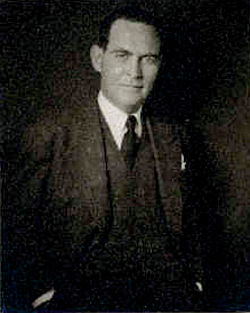 Keith: Quite independently and without any interference from anybody and all on his own, Benedict and his small staff, of which [Lombard] Squires was a prominent member—S-Q-U-I-R-E-S—they set out and they did the theoretical calculations and put in the safety factors for the process side of this cascade. I finally had to say whether I thought those calculations were real or not. But the work was done by Benedict. Highly imaginative, in great detail, expertly done, and that was the process side. Now, once you had the process side, you needed so many barriers. You needed a certain pressure drop. Then you began to have to look for compressors and containers and a method to construct it mechanically and how to cool it and how to control it. Groueff: For each one, you looked for a specialist to solve different problems? Keith: That is right. I had a great bit of people building the Great Rose [inaudible]. Keith: What is actually at Oak Ridge is Manson Benedict’s. That is right. Keith: Makes no difference. What is at Oak Ridge as far as process is concerned is Manson Benedict. Groueff: The decision, the choice. Keith: I mean, little decisions. What kind of expansion joint did we use? Groueff: What Hobbs or the other people – your responsibility, your job. Groueff: But I see that in Dunning, for instance, Dunning is quite a good so public relations man. Groueff: So he calls this the Dunning process, the Dunning way. Keith: It may be the Dunning way. Booth was the pump man who came down from Columbia, but he had nothing to do with the compressors. It may be the Dunning-Booth way, but it is also the Simon-Peierls’ way, and it is also the Keith way. Groueff: Yes, and Benedict way and Kellex way. Groueff: But the final product was the Kellex product. Keith: No question. But Benedict did not have the idea of the diffusion. Keith: That was mine independently. Once the idea had been passed on to Benedict, he took it, and what is at Oak Ridge from a process standpoint—I cannot emphasize this too much—is without any help, that belongs to Manson Benedict and his staff. Groueff: When you hired Benedict as a young engineer, and he told me that in the beginning you gave him some sort of difficult problem to troubleshooter here, he did not have a specialty. Did he strike you as exceptionally bright? Keith: He worked, for instance, on azeotropic distillation for the production of pure toluene. Benedict worked on an equation of state. Benedict, for anybody who could see or who could recognize genius, it stuck out all over him. Keith: At least I thought so. Groueff: That is why you gave him the top job in the organization? Groueff: For his side, yes. Keith: For his side, that is right. I could have gone to a good many more mathematicians or something else. You see, Manson Benedict is a mathematical physicist. Groueff: That is what you needed there. Keith: But I needed somebody who had sense—that would know enough about judgment to come up with something that was reasonable. Groueff: And he was one of the first that you hired for the new organization. Keith: He was in the Kellogg Company at the time. Groueff: Yes but for Kellex, you hired him and Clarence Johnson and a couple of others. Groueff: And you brought them to New Jersey for a kind of conference by Murphree, told them what it was about. Groueff: So you chose him because he already accomplished several things? Keith: No, he was too young out of the institute. He had had very little experience. But he was so brilliant and so reasonable and so down to earth with his brilliance that I never had any doubt whatsoever. Groueff: Finally, how did it finish with Urey? Was it a big fight? Keith: No, I mean, I like Harold Urey, but Harold Urey is like a butterfly. He flits from one perfectly lovely flower to the other one. He flits from the Nobel Prize work on the discovery of heavy water to now on the origins of the universe. That is the end of it. All physicists are the same damn way. Keith: He loses interest soon as he had the idea. Now, Harold tried to run the organization like that it just went to pot. There were too many prima donnas. I think I told you the story of Bill Libby using impure nitrogen. Nitrogen had water that almost stopped this plant. This plugging of the barriers that Clarence Johnson solved, I think I told you about that. Copyright 1965 Stephane Groueff. This transcript may not be quoted, reproduced, or redistributed in whole or in part by any means except with the written permission of Richard Rhodes. Exclusive rights granted to Atomic Heritage Foundation.